Redrock-designed custom gears and gearbox for outstanding play-free performance. Reinforced focus indicator - all-new machined focus indicator shows where you are focused at all times. Machined rod clamp - single knob tighten/loosen for 15mm. 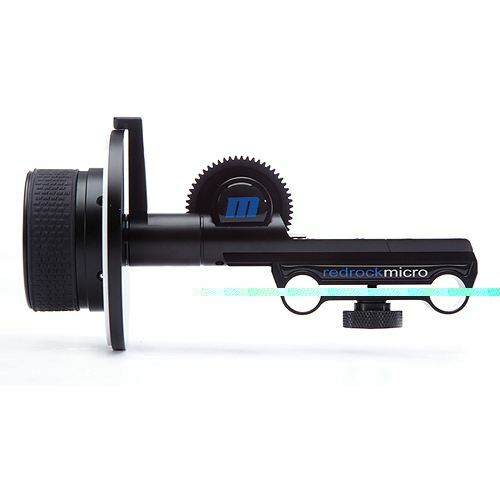 Can be used with 19mm rods with microOmniMount accessory. Adjustable backlash - ensures top performance now and into the future. All-aluminum precision machined construction, inside and out. Comes standard with 0.8 film pitch drive gear, with options for Fujinon and Canon drive gears. 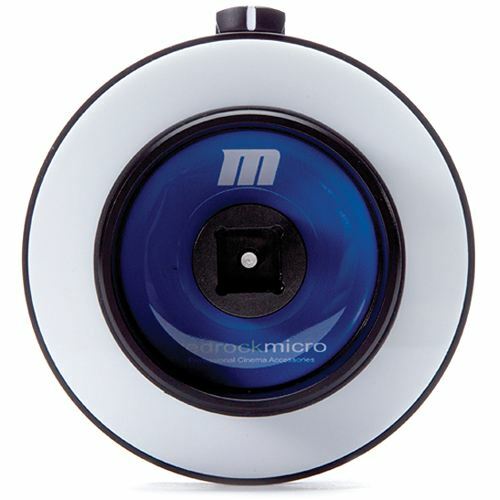 White marking disk - for marking your focus points and is completely cleanable. Industry-standard, all-metal machined accessory port for adding focus whip or speed crank as needed. Kung Fu rubberized handgrip eliminates hand slips. 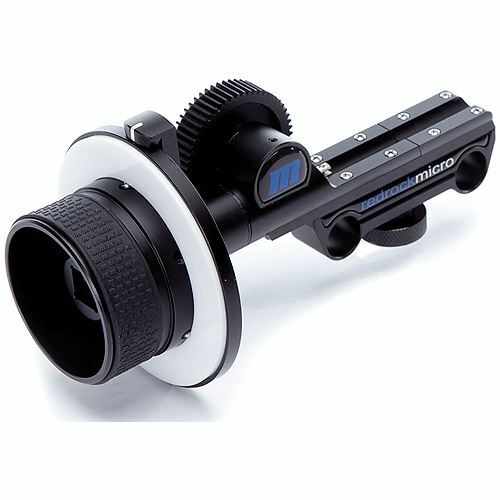 Flippable gearbox that positions the drive gear front or rear for support short lenses.